Albuquerque Limo: Are you interested in renting a limousine in Albuquerque ? Sunport Limo offers a variety of services including airport transfers, sightseeing tours, wedding transportation and more. Sunport Limo, working with the Star Limo, We bring you complete airport limo and charter limousine service in Albuquerque . Whatever your airport or downtown limo rental service needs, Sunport Corporate Airport Limousine can help you, with Albuquerque's widest-reaching limousine network, and many more limo service affiliates in the Albuquerque surrounding area. Sunport Limo handles limo transportation to and from Albuquerque International Airport, wedding limo, prom, and party limo rental, extensive tourist limo package and charter services, and all other limo services in Albuquerque and the New Mexico State. 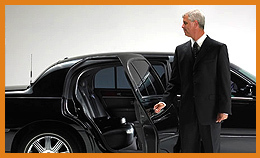 Sunport Limousine Service is ready and able to meet your corporate or personal limousine needs. 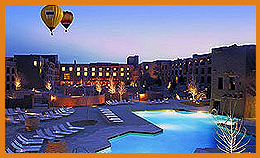 We service the Albuquerque International Airport, provide ground transportation, motel and hotel airport shuttles, and also meet your skiing need by servicing . We also service most of New Mexico, to and from the Albuquerque area. Weddings, Christmas, New Years Eve 2011 sporting events, concerts, proms and graduations! Features directions, services and administration, ground transportation, parking, news and contacts.